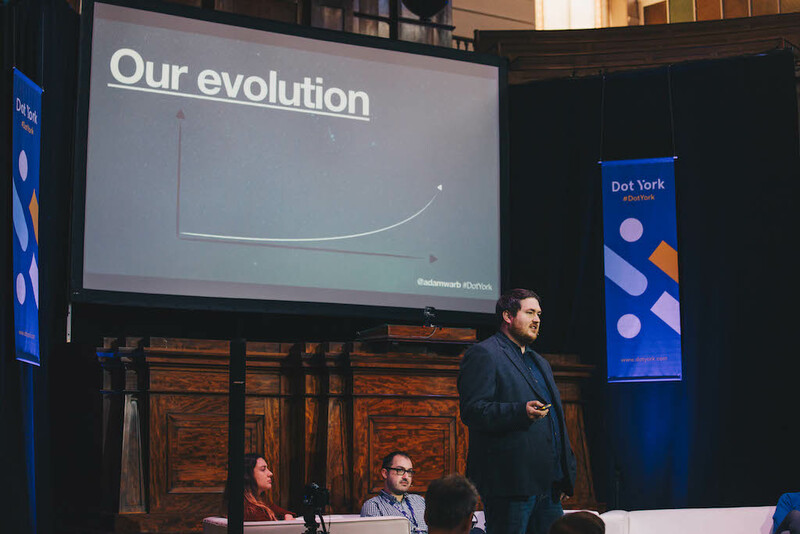 Last Thursday I spent the day helping out at the hugely anticipated Dot York 2017 conference. It was an early start and a (very!) late finish, but I wouldn’t have missed it for anything. The success of a conference lives or dies by the quality of the speakers, and this year the bar was raised yet again, ably compèred by Scott Hartop. Each talk provided enough food for thought to fill this blog a hundred times over, but I’ll restrict myself to discussing a few of my personal highlights from each session. The opening session of the day concerned User Experience and Needs. Adam Warburton, Head of Product at Co-op Digital, gave an illuminating demonstration of how seemingly unrelated products can end up as competitors when viewed through Maslow’s Hierarchy of Needs. Who would have thought, for instance, that online supermarket shopping and Uber are actually competitors within this framework, and how does this challenge the way we think about our own products? Adam went on to discuss how, by framing your business and the needs that you service in this way, you can force entire industries to transform for the better. The Co-op is not the most dominant supermarket chain in the UK, but Adam argues that their business goals have actually been met – by championing Fair Trade products and ethical business methods, they found that consumers valued these aspects of their business and so forced competitors to adopt their practices. For them, that was how they measured success. The second session, Business Before Lunch, saw four insightful talks from experts, innovators and entrepreneurs looking at the decisions we make and how we make the right choices for our own businesses. 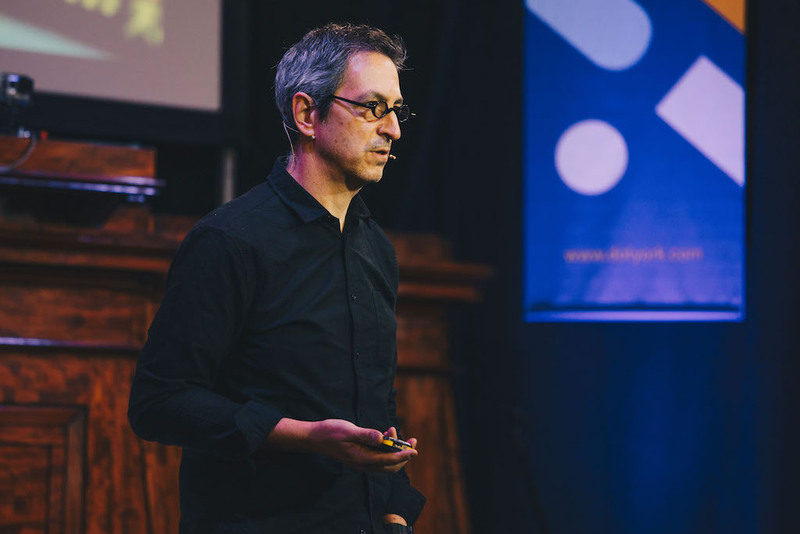 Ian Worley kicked us off with a talk about his time as Head of User Experience and Design at Morgan Stanley. Ian spoke with eloquence about achieving stakeholder buy-in by a) being brave about your expertise, and b) finding the right arguments for the right people. In the conservative world of banking, efficiency gains and improved bottom line were persuasive where aesthetic values and improved user experience were not. As Ian described his experiences, I thought about the broader question of value alignment: what do your clients value, what do you value, and what do you do if you can’t find common ground? At Isotoma I am fortunate to work with a broad range of clients, some offering exciting technical challenges, others that provide opportunities to do real social good. Very few of us in this industry can fully separate our work identities from our personal ones, so the importance of doing work with clients who share at least some of your values cannot be overstated. Hannah Nickin’s talk highlighted for me how destroying capitalism isn’t just a slogan.. Following quite the best conference lunch I’ve ever had (with many thanks to Smokin Blues! ), we heard four presentations on Building Better Teams, with Hannah Nicklin providing a dramatic reading of her ethnographic experiences amongst games development collectives. 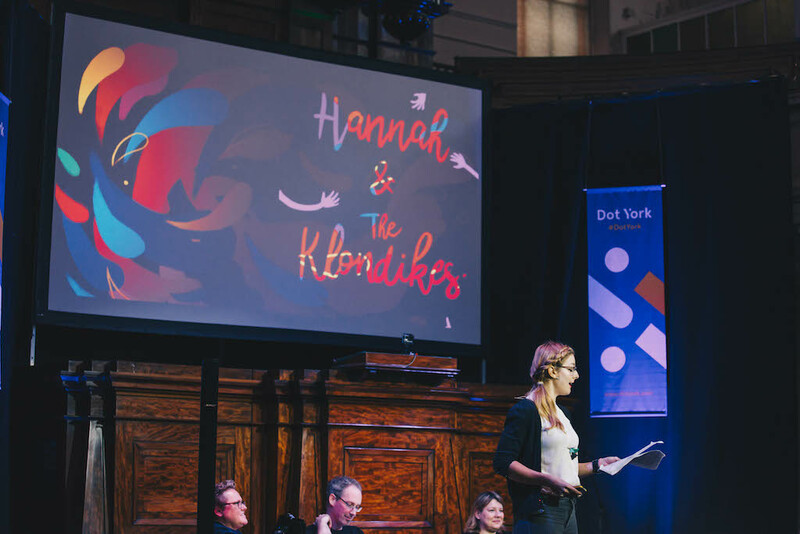 Hannah’s talk highlighted for me how destroying capitalism isn’t just a slogan, but a praxis – the intersection of place and behaviour where we challenge orthodoxies. We probably can’t overthrow systems of exploitation overnight, but we can problematise convention and test alternatives. As a business, Isotoma works hard on cultivating an environment that works for its employees, and not simply operating as an entity for converting labour into ‘stuff’. What works for you may not work for me, and that’s ok, but the crucial thing is to challenge the received assumptions of what your business is for, and the value that it brings to the world. We rounded out the day’s events with a panel on Being Human, with an emphasis on empathy, self-care, and our responsibility towards others. Natalie Kane, the Curator of Digital Design at the Victoria and Albert Museum, delivered an intriguing talk concerning so-called ‘ghosts in the machine’, and how easy it is for the advance of technology to be embraced, unchallenged, as an unimpeachable good. Our ethical obligations do not begin and end with our good intentions, she announced, but require our constant and active engagement. 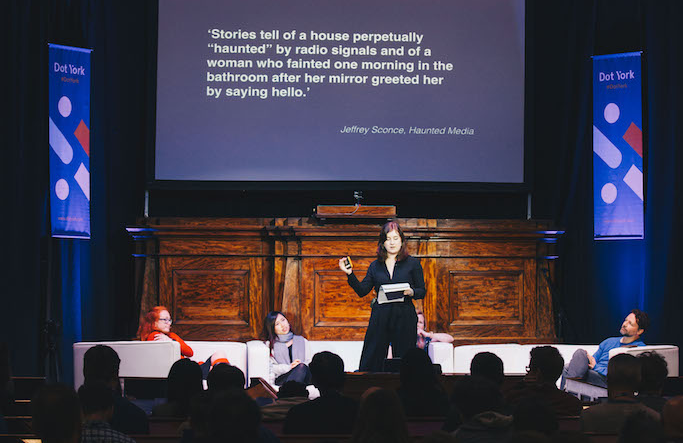 Natalie argued that such ‘ghosts’ serve as a reminder that technology is not neutral, and we have a responsibility to keep a critical stance towards technology and how we use it. To paraphrase Jurassic Park, just because we can doesn’t mean we should. I cannot wait to see who we book next year! This entry was posted in DotYork on November 17, 2017 by Dan Merriman.